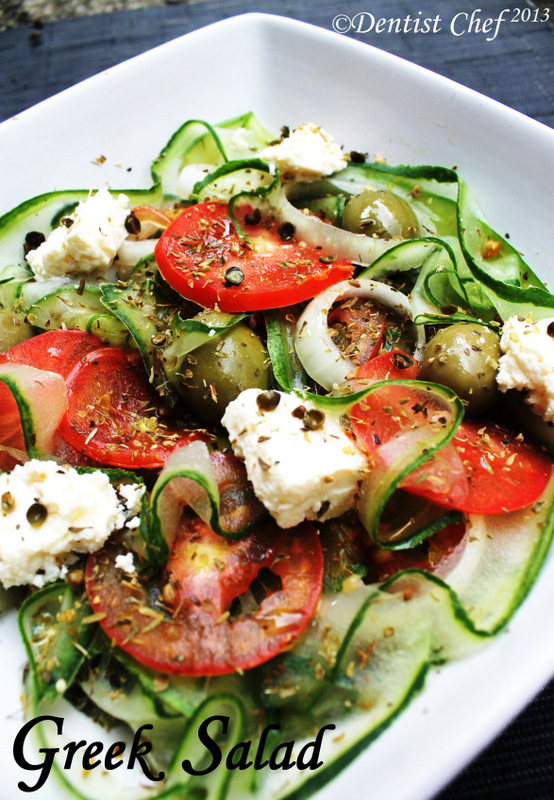 So happy I found this delicious greek salad recipe! It’s just what I need for an upcoming dinner I’m planning! 1 cucumber, washed and cleaned, shaved with a peeler. Such a great recipe and for the full instructions, check out the original post here- Dentist Vs Chef.